The world that Claire is living in, was a dreamworld until her husband was killed. After the murder she finds some disturbing files and videos. Claire learns that her world wasn't as perfect as she tought it was. Lydia finally has a stable life, after years of drug use, until Claire needs her help. This story takes place in a world where you can trust nobody. Not even the authorities. It was really strong of Karin Slaughter to write a book from "the other side". In most of her books, the main characters are working for the police. This book was a nice change. It's what you can expect from Karin Slaughter. A lot of questions arise at the first chapters. Together with the main characters you search for answers. While reading, the story unfolds and you learn what happened and what secrets where kept for years. It's a great storyline. Something I have not read before. The story is unique and a real thriller. There are some great plot twists. Some bigger than others. There is one that I did not see coming; I won't spoil. Some things were figured out real quick, and the ending wasn't the strongest either, to my opinion (It's a gruesome book, so I had hoped for a gruesome ending). That's why I gave the book 4 stars, instead of 5. 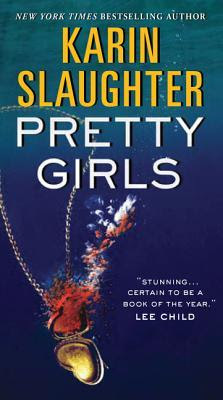 Another great thriller by Karin Slaughter. You know you will be reading a great book when her name is on the cover. It's so cool that this book isn't the POV from the police. I like the fact that she did something "different". A good thriller.